Looking for Los Cabos real estate? Browse our selection of condos and luxury homes in beautiful Cabo and make your vacation dreams a reality. Nick Fong and his team of real estate sales professionals at Los Cabos Agent are ready to assist with your search for Los Cabos Real Estate. We have a proven track record of helping clients find the best Cabo villas and condos for their lifestyle and budget. We are also highly-skilled negotiators who can get buyers and sellers the absolute best price. If you’re in the market for a permanent residence, second vacation home, or your next investment property, get started by looking through our listings for luxury homes and beachfront and ocean view homes and condos. We specialize in the following areas: Pedregal, Hacienda Beach Club, Villas del Mar / Espiritu, Palmilla, Querencia, Cabo del Sol, Chileno Bay / Montage, and Punta Ballena. Nick Fong has a passion to serve his clients that has reaped wonderful benefits. The work ethic and knowledge of Nick has earned him the respect and honors of being Cabo’s #1 agent. 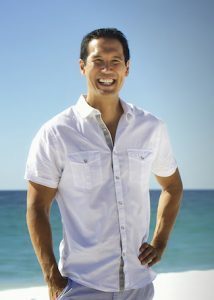 His relationship with HGTV has allowed him exposure on hit shows Beachfront Bargain Hunt and Mexico Life several times. Nick’s international and local exposure has given him and his family the dream lifestyle in Cabo Paradise. Hotel Los Patios Local #3, Cabo San Lucas, BCS, Mexico 23410.